COMPLETELY RENOVATED FOR THE 2018 SEASON - here are new photos!! A tropical escape with a king bed and fine linens. Relax in seating area with a great book or bask in the sun on the large balcony. 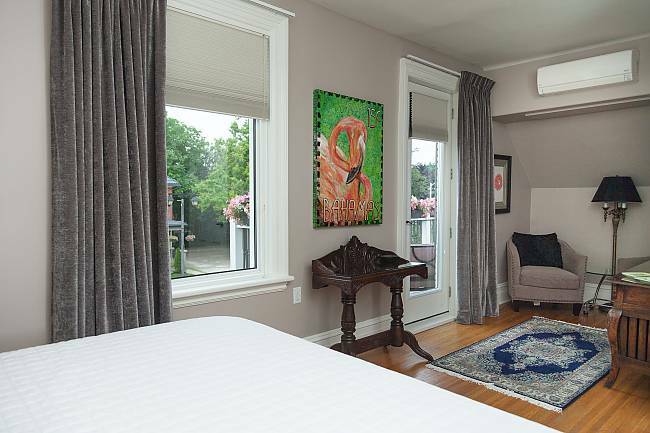 This Suite also features its own in-room air conditioner, for those who like it extra cool on a warm summer’s night! 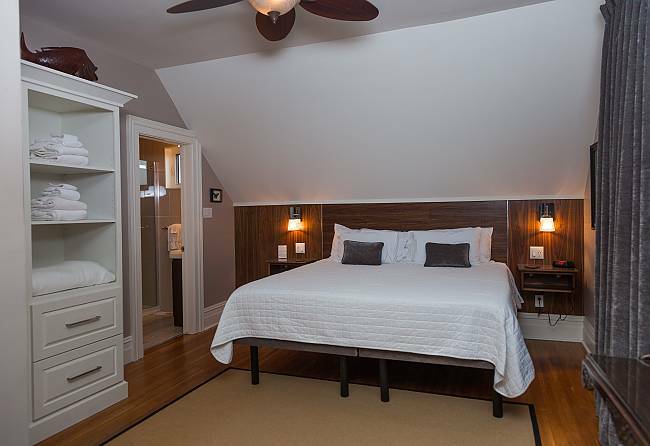 This well appointed air conditioned Suite has a luxurious King Bed, ensuite bathroom, hairdryer as well as ceiling fans and a lovely outdoor balcony.